The World Expo area of Universal Studios Florida was originally designed as the set of a World’s Fair, though it was meant as more of a catch-all premise (not unlike Production Central, both then and now) to house such diverse experiences as Back to the Future: The Ride and a recreation of the mansion from the Pyscho film franchise. Though this area has seen more than its fair share of changes over the decades – most recently when the giant swath home to Springfield, USA was spun off into its own land, making World Expo just a tiny sliver of its former self – it still truly blends the theme park’s past and future through architecture, ambiance, and attractions. 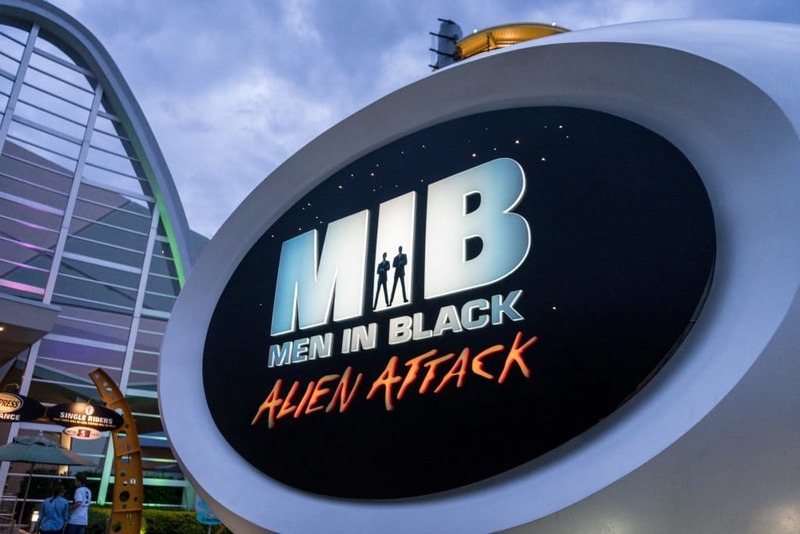 Guests seeking a cause greater than themselves can train to be an MIB agent at Men in Black: Alien Attack, an interactive shooter-style dark ride. (Don’t forget to grab a Men in Black gadget at the MIB Gear store before you leave!) And if real-life thrills are more your style, face the muscle-numbing, taste bud-blowing dares of the Fear Factor Live stage show — participation is voluntary, of course.